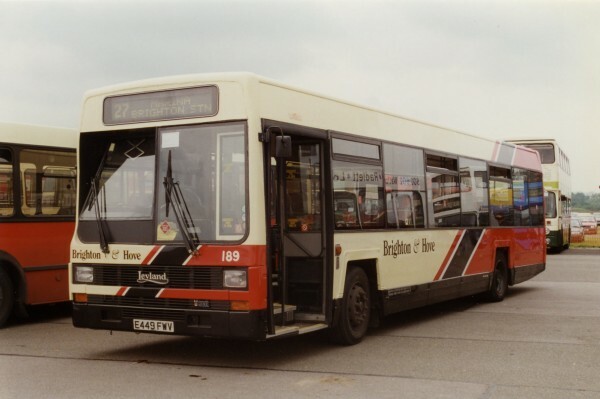 This photograph was taken at North Weald on 29 June 1997 and shows fleet number 239 (F239CNY). 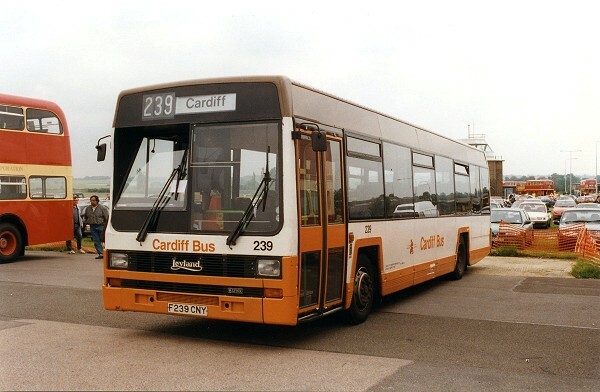 This vehicle is displaying the "old" Cardiff livery. 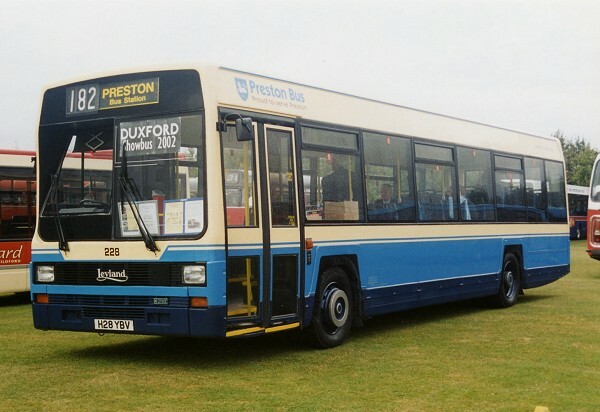 This livery was represented by Corgi OOC on MK2 vehicle, fleet number 262 (J262 UDW) as model 43111. Please see photograph below. 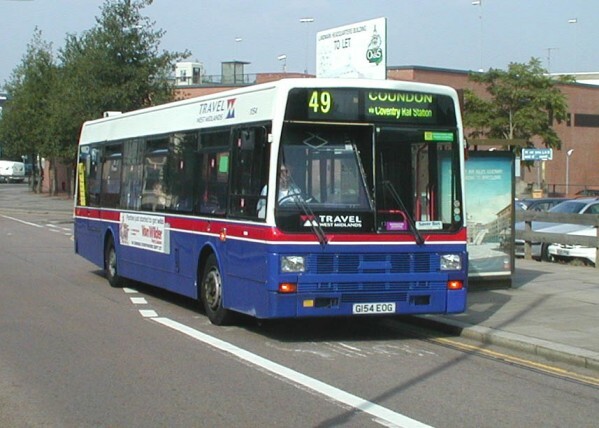 This photograph was taken at 'Bus and Coach Wales 2002' on 7th July 2002. 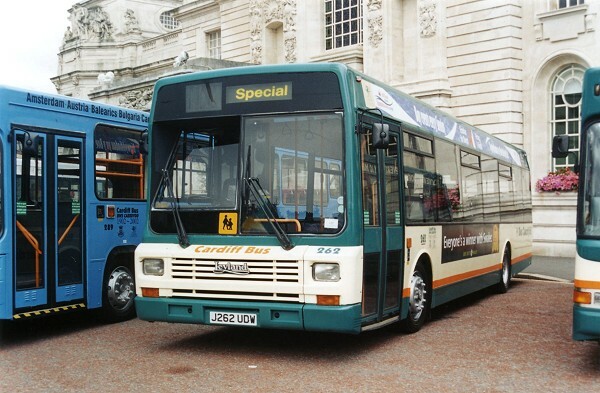 This vehicle was part of Cardiff Buses display in front of City Hall, shown is fleet number 262 (J262UDW). This is the actual vehicle represented by Corgi OOC as model 43111. 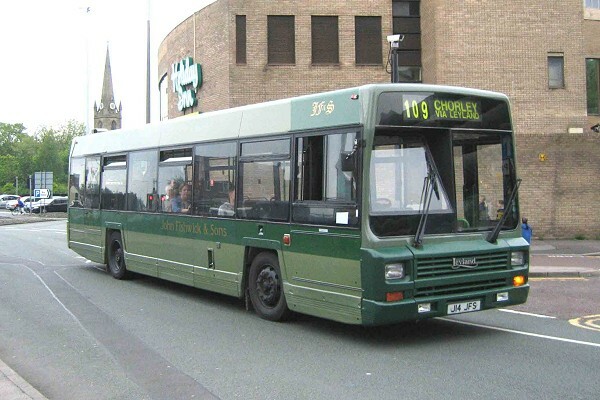 The model displayed the "old" orange, white and brown livery as shown on the MK1 vehicle in the above photograph rather the "new" green livery shown in this photograph.